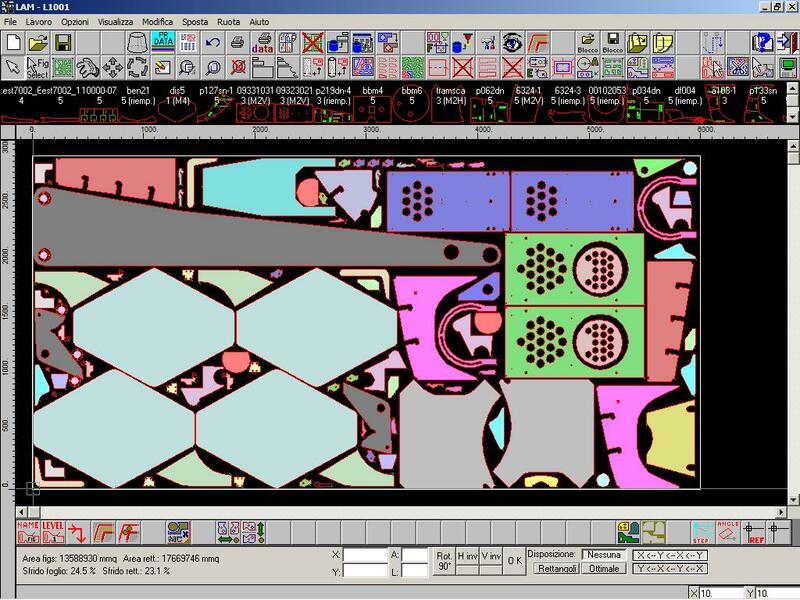 Praut CN-2D systtem was develped with to simpler tool machines programming, especially Oxgen cut, Laser, Plasma, Waterjet and Wood’s industry machines. The system is completely interactive and it helps you in all programming, it can be interfaced with commercial CAD with DXF exit. The software allows breaking in of all geometric and technological informations necessary for the tool machine, until data generation for the CNC and their transfer. In every step corrections, controls and plotting of piece on printer is possible. Moreover, the programmer have not to know single tool machine paticolars. Depending on the needs of the customer, can be created custom forms allowing the direct connection between the order management, technical, office planning, CNC department. Are no longer needed paper documents that are passed from one office to another. Upon request at the end of the whole can be interfaced to industrial accounting and billing. In the program Praut Cn-2D conventional applications in oxyfuel, plasma, laser and waterjet cutting performance guarantees high reliability. Turns out to be flexible and easy to use in his figures obtained from 2D CAD. The program is supported by a technological database and a database for the management of the quantities to be processed based on well-defined parameters, such as Customer, Job, Material, thickness, etc. Delivery Date. At the end of the process there is a cost savings on products high. There are tools that increase the productivity of the system as (common cut, bridges, collision control, micro breaks, sanding, cutting continuous, etc..). The inclusion of optional modules allow you to create a custom tool to the needs of each customer). A quarterly newsletter via e-mail updates of new customer of the new release. The customer contract with the update can be downloaded directly from the Internet for updates. A technician is present during the working day from Monday to Friday and by appointment on Saturday morning. Ability to customize the software to adapt it to your needs as we are retailers but especially PRODUCERS! The ideal software designed and developed to improve the efficiency of your company.